When it was announced that the Hellboy franchise was being rebooted, fans weren’t just a little skeptical but deeply conflicted. That’s perfectly understandable, too, as the previous two movies from directer Guillermo del Toro had become firm cult favorites and it was a bummer that we wouldn’t be getting the long-promised closer to that trilogy. However, once we’d adjusted to the scenario, folks became more open to finding out how this new version would differ from what had come before. Though del Toro has his roots in horror, his Hellboy movies aimed to straddle the line between the filmmaker’s love of dark fantasy and appealing to a wider – and partially younger – audience. In our modern world, where mature superhero films are almost common after the likes of Logan and Deadpool, Marshall now has free rein to go as dark as he wants. 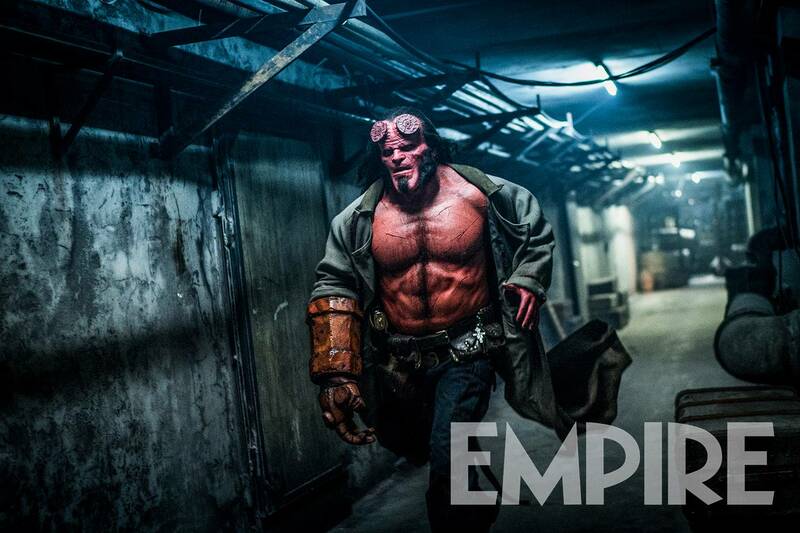 What we’ve seen of the movie so far looks incredible, with the make-up and costume work on Harbour’s Hellboy exceeding even Perlman’s version. His Hellboy almost looked like someone you go for a drink with but Harbour’s version genuinely looks like a demon summoned up from the underworld. Unfortunately, early reactions from test screenings have been slightly worrisome, but we’ll have to wait to pass judgement until we get to see the thing for ourselves. Also starring Milla Jovovich and Ian McShane, Hellboy rises up into theaters on April 12th.